One-to-one customer care at authorized Rolls-Royce Motor Cars dealers. Uncompromising pre-delivery inspection and preparation. One or two year limited warranty. Complimentary standard servicing using genuine Rolls-Royce parts, including 24-hour worldwide roadside assistance. Independent vehicle history and mileage verification. Purchasing a Rolls-Royce, with its combination of visionary engineering and hand-crafted build, should always be an exceptional experience, regardless of its age. That’s why only the finest previously-owned Rolls-Royce motor cars attain the Provenance title. Our uncompromising standards and drive for excellence ensure that every Provenance vehicle not only delivers total reassurance but, thanks to our one or two year servicing and warranty cover, is also a sound investment for the future. With its own distinctive style and features, every Rolls-Royce motor car is unique. That’s why our knowledgeable dealer staff are on hand at all stages of your purchase to guide you through your choice of vehicle and assist you in the selection of luxurious accessories, helping you to put your own personal stamp on your Provenance Rolls-Royce motor car. Our Provenance customers can expect the same exemplary level of customer care and attention as a new car purchaser. Provenance Rolls-Royce motor cars are sold through authorized Rolls-Royce Motor Cars dealers. You not only enjoy our luxurious surroundings, you also benefit from our knowledgeable teams. Dealer staff will provide you with one-to-one help and guidance throughout your purchase, and your servicing and Aftersales requirements. 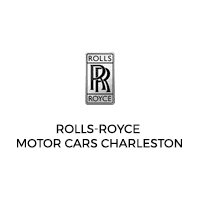 As no two Rolls-Royce motor cars are the same, the team at Rolls-Royce Motor Cars Charleston will expertly guide you through the intricacies of each vehicle, helping you to choose the Rolls-Royce that best suits your needs. Once you’ve made your choice, they’ll then be able to explain to you the range of accessories available to help make your Provenance Rolls-Royce bespoke to you.